I'm letting my hair grow out - again. I don't know what it is about long hair, but it just makes me feel pretty...does that sound crazy? Maybe it's just me. My hair has been THICK all my life and even as I reach 43 on my birthday coming up in July, I'm thankful that it still has that thickness I've always known. Now the gray that keeps popping up is another story! 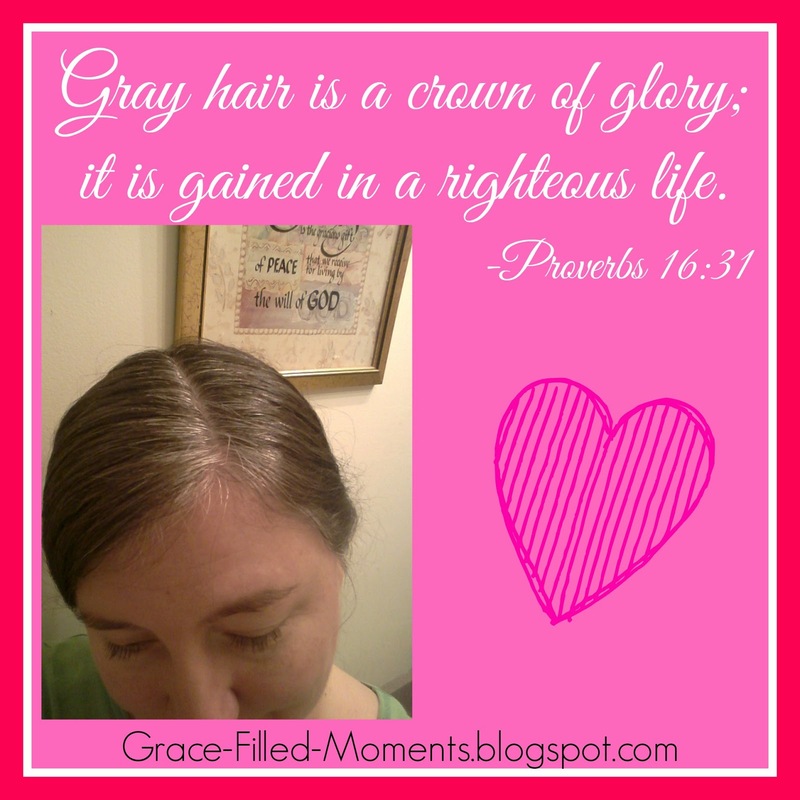 Maybe one day I'll stop the fight against those gray strands that the Bible tells us in Proverbs 16:31 are a "crown of glory...gained in a righteous life". 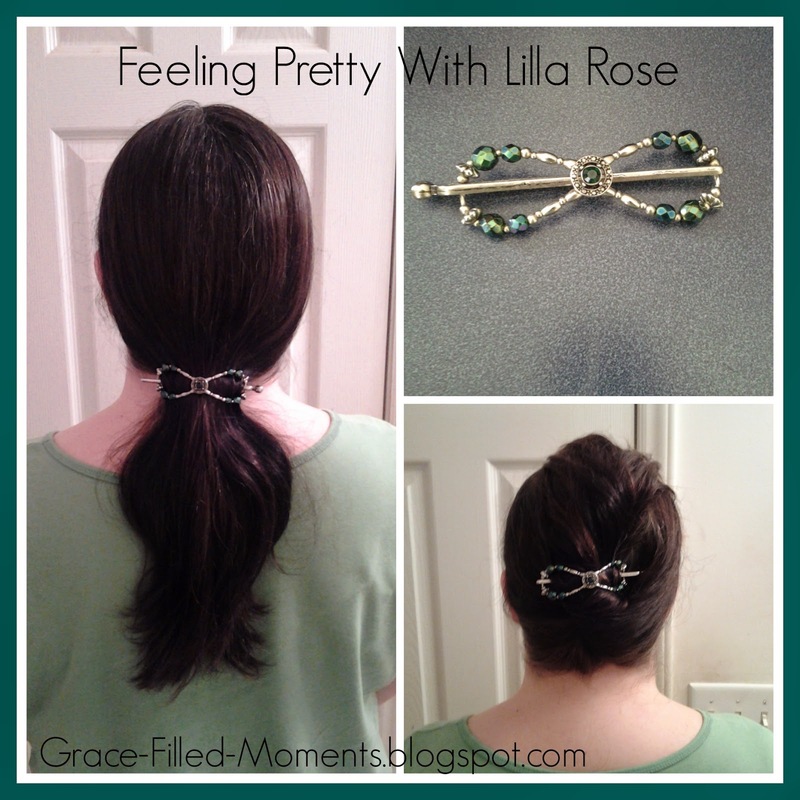 I am excited to share with you today my review of a Flexi clip from Lilla Rose that I have had the joy of wearing in my hair for months now! I feel so pretty with Lilla Rose! The medium Flexi clip is perfect for keeping my thick hair pulled back in a comfortable, easy, and pretty way! Twist ties pull and break my hair and are uncomfortable to wear. They're not pretty either. My sweet husband took these pictures of me wearing my Lovely Circle Emerald Flexi clip from Lilla Rose. The Flexi clip is so easy to use! I can get all my hair in it for a pony tail or simply pull back half of my hair. My favorite way to wear my hair with my Flexi clip is pulled up in a twist! You can use Lilla Rose's helpful Flexi sizing and hairstyle guide video to help you pick out the right size of Flexi clip for your hair and different styles you can do with your hair and the Flexi clip. If you are tired of twist ties pulling and breaking your hair, then you will definitely want to try a Flexi clip from Lilla Rose. Contact my awesome consultant, Penny Raine, today to look at all of the beautiful Flexi clips available from Lilla Rose. You can also connect with Penny on Facebook. Let Penny know I referred you! What's your favorite Flexi clip from Lilla Rose? Please share in the comments below so I can look it up.